On Saturday, the day before the 60th annual Grammys, Variety reported that Lorde declined to perform at the award show because she wasn’t allowed to do so solo, like her male peers and fellow Album of the Year nominees Kendrick Lamar and Bruno Mars. 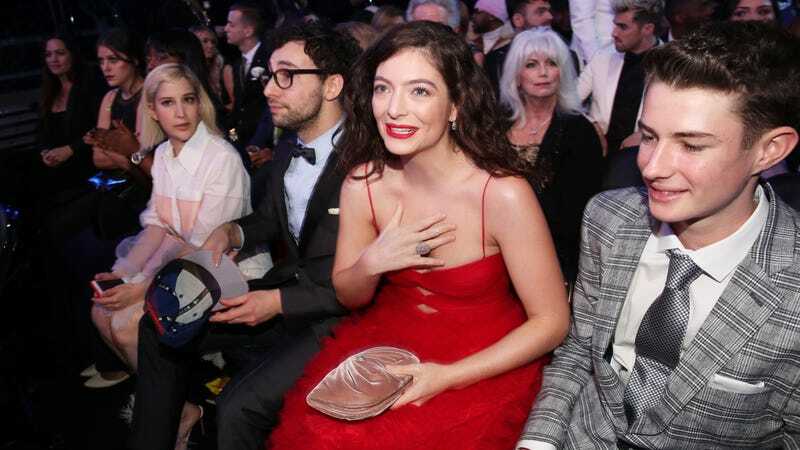 Though silent, Lorde’s boycott was heard when Recording Academy president Neil Portnow told the Grammys press room, “It’s hard to have a balanced year and have everyone perform. We can’t have every nominee perform.” What? Anyone who watched the 2018 Grammys knows Portnow’s weak excuse held little weight: Lamar and Mars were provided long performances. Even Broadway star Ben Platt and “Pray” singer Sam Smith, two men without major award nominations, performed without a collaborator. Why couldn’t Lorde? Lorde’s small gestures—her feminist attire and refusal to perform—sent a powerful message. Her lack of visibility throughout the night showcased just how much the Grammy Awards failed to value her artistry, even if they nominated her for its highest honor. The Holzer’s excerpt in particular illustrates just how an artist can be political even without standing center stage. Next year, the Grammys better get Lorde, by herself, to perform. They owe it to her.